As the SPFL kicks off today, Andy Muirhead assesses the state of the game five years on from the prospect of ‘Armageddon’. Read Andy regularly at Last Ditch Tackle. Rangers Football Club hurtled into liquidation in the summer of 2012, Scottish FA chief executive Stewart Regan had his own ‘Mayan Prophecy’ in which cataclysmic events would impact Scottish Football if the clubs did not vote for the new Rangers to be welcomed into the top flight of our game. His SPL counterpart, Neil Doncaster, paraded round Hampden Park with his placard declaring that the end was nigh as our game would face ‘Armageddon’ if the clubs did not approve the new Rangers’ inclusion. Months later Regan would face the press declaring that the game was ‘in a different place now’ and that many were ‘enjoying’ the game more. While Rangers fans saw this new found love of the game as some sort of attack on their new club – plying its trade in the Third Division claiming world records that no big club would have the dignity to do – they hoped and prayed that those clubs who had the gall to block their entry into Scotland’s top flight would die a slow lingering death as punishment. Our game would die without the EBT-propped up Rangers. That’s what we were told. A club that could save Scottish football, yet they couldn’t save themselves. The governing bodies bent over backwards to do anything they could to ‘save our game’ and their plans solely around keeping Rangers in the top tier or failing that the second. Fans of the SPL clubs weren’t fooled by their threats of impending doom and called on their respective clubs to uphold the integrity of our game and to consign the new club to their rightful place – the bottom tier of our game. Led by the indomitable Turnbull Hutton, sadly no longer with us, Scottish football fans rallied to the cause to stand against corruption and bribery as they held our game’s powerbrokers to the rule of law. No club was to be given a free ride. Certainly not a club who wilfully broke league rules and neglected their own financial footing for silverware and bragging rights. Armaggedon and the end of our game never materialised as Doncaster and Regan threatened – SHOCK HORROR! While it could be argued that Celtic suffered the most, with crowds dwindling and a non-existent title race – the majority of the fans couldn’t care less. They were winning the title and with that the more lucrative land of European football. A competition worth more to the Parkhead side financially than the four games against their ‘auld’ but now defunct rivals. Despite that decline in numbers, after the club won the treble last season and were unbeaten domestically season ticket sales went through the roof and sold out. There is now a waiting list for season tickets for the first time in over a decade. That is down to the job that the Celtic board, Brendan Rodgers and the players have done. And for Celtic fans it is a beautiful sight to behold. With Rangers committing financial seppuku, Aberdeen were under a revival and became the second force in Scottish football under Derek McInnes. This was met with increased attendances both at Pittodrie and on the road across the country. McInnes led the Dons to successive European campaigns and while they seem to fall before the final hurdle – as they did on Thursday night – I doubt the Dons fans would have it any other way. Under McInnes, Aberdeen have won the League Cup in 2014 – the first piece of silverware in 19 years. He has secured their best league finish since 1994 three years in a row and reached two cup finals last season – losing out to the invincible Celtic side. And while Aberdeen finished well behind Rodgers’ Celtic side last season, the Dons are now seen to be the true rivals to the Scottish champions. Since 2012, six different clubs have won the League Cup and Scottish Cup – ignoring Celtic of course – with Aberdeen, Hibernian, St.Mirren, St.Johnstone, Inverness Caley Thistle and Ross County fans watching their respective sides lift silverware – some for the very first time in the club’s history. If that is the Armageddon which Doncaster and Regan foretold then let’s have more of the same. Along the M8 to Edinburgh and the fortunes of both capital clubs are mixed on the park, but off it they are resurgent. Hearts are nearing the completion of a brand new main stand to replace the antique that used to be their main stand. And despite a delay in its completion date after Ann Budge ‘dropped the ball’ by ordering faux fur seats rather than the gaudy plastic efforts seen across the country, Tynecastle will be better for it once it is completed. A stadium befitting a club with a rich history, rather than those concrete monstrosities you see being built nowadays – with no soul. The Jambos may have waved goodbye to their head coach, Ian Cathro, after a horrific performance in the League Cup group stages, but with their infrastructure and players at their disposal, the right man in the hot seat could have the club firing on all cylinders once again. 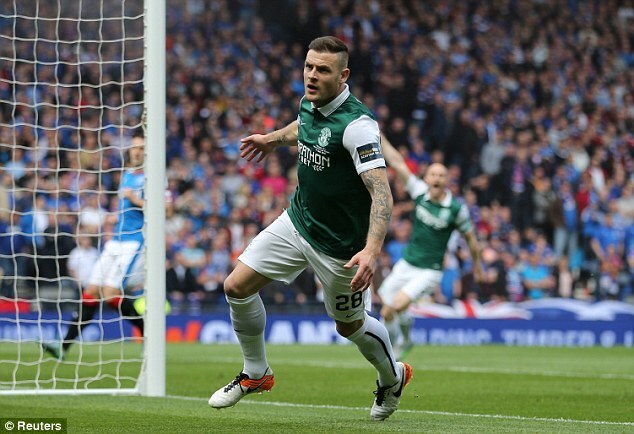 Their city rivals, Hibernian, secured promotion back to the Premiership after winning the Championship title, coming a season after they beat Rangers 3-2 in the Scottish Cup Final – a first for the Leith side in 114 years. A wait even more legendary than Penelope’s for the return of Odysseus from the Trojan war. Would Homer have been up to the job of retelling the Hibernian story? Under the tutelage of Neil Lennon, Hibs have embarked on a rebuilding project in a bid to take on the challenge of the Premiership – with recent recruits including Anthony Stokes, Steven Whittaker, Danny Swanson, Efe Ambrose and Vykintov Slivka. Lennon’s side will almost certainly challenge for European football, while chief executive Leanne Dempster has done a sterling job behind the scenes as the Easter Road side broke through their season ticket sales for this season. Even Partick Thistle have had great news recently with a new £4 million training ground set to be built. Their first ever dedicated training ground in the club’s 140 year history – albeit with help from the Weir family. In my opinion, the demise of Rangers Football Club has forced clubs to rethink how they run themselves. Far too many relied on revenue generated by the visits of Rangers and Celtic, and have now cut their cloth accordingly to work within their means. It may not be pretty at times but it was necessary. Debt has been dramatically reduced across the board, fans have returned to the grounds in their thousands and we are now seeing where the real issues are in our game now – the organisation, leadership and the running of our governing bodies by Doncaster and Regan. How the duo are still in their jobs after the Rangers liquidation debacle is beyond me. Questions have been raised about their management of our game and their handling of the Rangers tax case. Fans are once again beginning to mobilise as they demand a review into our game, after the recent Supreme Court ruling found against Rangers and in favour of HMRC. The verdict provided further evidence that the so-called saviours of our game, did all they could to rig the game in their favour for over a decade, using an EBT scheme to dodge paying tax to buy players that would not have signed for the club otherwise. The fans led the way in 2012 and five years on they are answering the call to arms once more demanding a root and branch review. They got their way five years ago and you wouldn’t bet against them getting their way now. Scottish football has a brighter future than the one that Doncaster and Regan tried to paint, it is just a matter of when it happens. Our game will be better for it and I for one cannot wait. Come on do we really need all this guff about football, it’s just a bloody game. “Just a bloody game” Humph!!! Football, not to overstate, is the very essence of my otherwise pointless existence, Charles. I really do feel sorry for you that you have so little to keep you going. Me I live for the day that the Saltire flies over the ramparts of Edinburgh Castle and the Union is consigned to the past where it belongs. I’m just over the moon ST Mirren won today. Good bet for the cup! This ‘response’ ( is it in crayon ? ) to the article simply reinforces the points made by Mr Muirhead . I feel your pain buddy. I really do. Have to give credit for the scattergun approach to the rant. There’s something special buried in there. I just know it. Perhaps it was not the most perfectly presented post but there are some truths in there. We have to balance any article about football in Bella with their anti-Ibrox agenda. The author of this article also writes for https://www.lastditchtackle.com/. This is website about Scottish football, which (like Bella) can find nothing positive to say about Rangers. Meanwhile (per capita) the Scottish Premiership is the best supported in Europe!